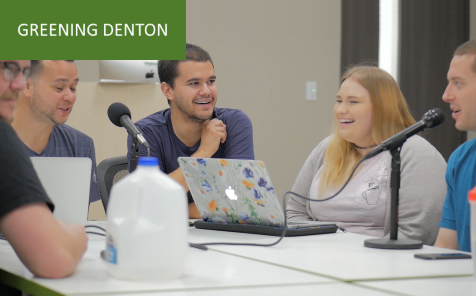 “Greening Denton” is a four-part series of text, video and audio reports that presents what they found. This third installment includes two podcasts. The first one presented here comprises excerpts of two longer podcasts produced by the student journalists. It includes discussions about hydraulic fracturing, the process for oil and gas drilling better known as fracking, and the lingering role of coal, most polluting of the fossil fuels, in Denton’s planned transition to renewable power sources. In the second podcast below, students discussed technological and economic developments in battery-based storage of electricity and their potential for a broader shift away from fossil fuels. Links to related articles are provided below each podcast for further exploration of the issues that were discussed.